In this article, we’ll look at what the differences are between some of the most popular streaming services available. Different streaming services provide customers with different perks. Netflix is undoubtedly one of the most popular streaming services available to us today. Regardless of age, the one thing that continues to captivate us all and bring us together is our shared love for television shows, dramas and amazing action movies. The list of shows available for us to stream these days is seemingly endless, from action-packed Game Of Thrones all the way to sci-fi hits such as Stranger Things. With so many streaming services on the market, you may be wondering which one would suit your needs and tastes the most. Different streaming services provide customers with different perks - certain shows are exclusive to one whilst the other may have a wider selection of old-school classics that we all love. In this article, we’ll look at what the differences are between some of the most popular streaming services available today. From how much streaming data these websites or applications use to the variety of shows they carry, it is always good to know what each of these sites can bring to the (entertainment) table at your home! Netflix is undoubtedly one of the most popular streaming services available to us today. From your Smart TV to your Tablet, PC, Laptop or even Smart Phone, Netflix is accessible on multiple devices, helping you ensure that you’re never without your favourite Series. Netflix offers a trial period of 30 days free streaming, which is fantastic for those who aren’t too sure about purchasing something before trying it out. Should you love what you see, you can then purchase either a Basic subscription ($8.00 per month), a Standard subscription ($11.99 per month) or go all out on a Premium subscription ($14.99 per month). With regards to Netflix data usage, you’re looking at 1GB/hour for Standard Definition, 3GB/hour for High Definition and 7GB/hour for Ultra High Def. Netflix houses a library of up to 1200 titles, with 200 or so of those being TV shows. The entire library hours available on Netflix is a whopping 5000 hours or so, ensuring you are never left bored on a weeknight. Netflix racks up a reasonable 3 star review on Product Review, with the main complaints about how certain US Netflix shows are not available on the Netflix Australia platform. Stan is also one of the more popular streaming services available to us today. This streaming service is also available on most devices - from your Smart TV, Apple TV and PC, all the way to your Mobile Phones and Tablets. Stan costs a reasonable $10 per month, with no contracts involved. Similar to Netflix, Stan also offers a 30 day free trial, so you can really get stuck into exploring what it offers before having to put your money down on anything. Titles on Stan add up to 1250, with 7000 odd hours of entertainment available, all in HD. As for Stan data usage, Standard Definition uses 1GB/hour whilst High Definition 720p uses 1.5GB/hour and High Definition 1080p uses 3GB/hourS. A little lower than Netflix, Stan comes in at 2 stars on Product Review. One of the main complaints would be that the Stan app tends to freeze, or is often unavailable at times. Foxtel Play streams Sport, Film and TV shows, along with linear play TV channels. A “mini” version of an actual IQ box Foxtel subscription, Foxtel play can be streamed on devices such as the Xbox, PC, Tablet, Mobile and on Smart TVs. Costs are tiered by genre and can range anywhere between $30-$55. As per normal, there is a trial period available for all, but this only lasts for 2 weeks unlike Netflix and Stan’s one month free trial period. There are about 3000 library hours that clock in on Foxtel Play - a decent amount of entertainment to keep you in your seat most nights. Data usage for Foxtel Play has still not been released, but you will definitely need a minimum internet connection speed of 3Mbps. We hope that this comparison between three of the most popular streaming services in the market today will aid you in making your decision on which one you would like to invest your money in. 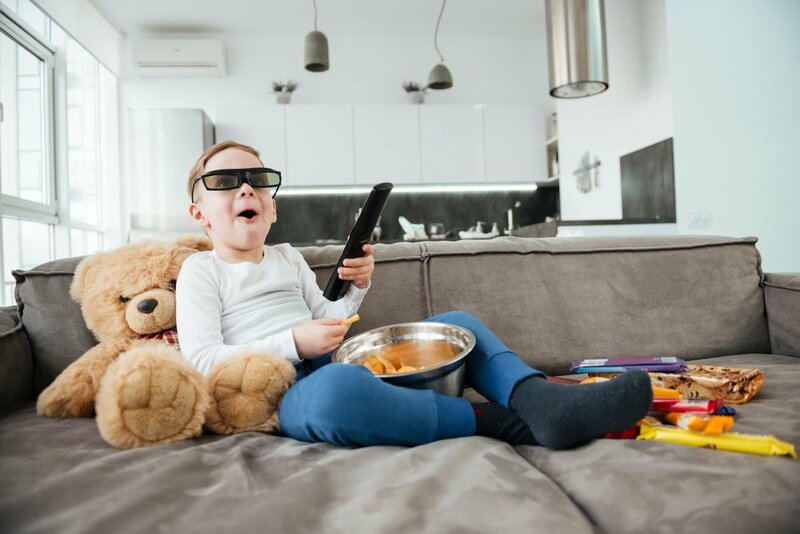 Each of these platforms have their pros and cons, so do take them into consideration when deciding on which one is best suited to you and your family’s entertainment needs!